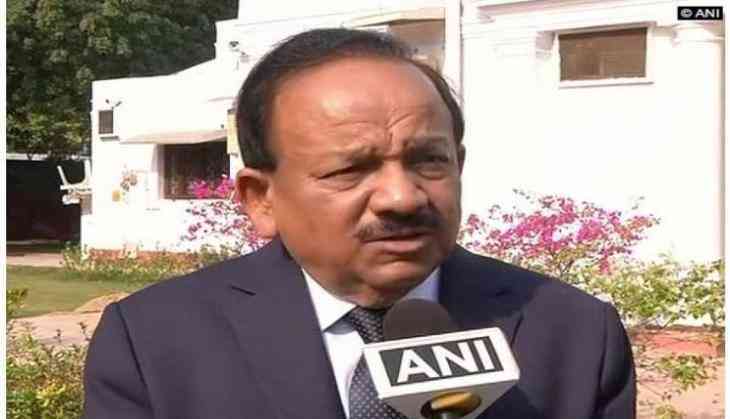 On the occasion of 'World Environment Day', Union Environment Minister Dr. Harsh Vardhan on Monday said that the people across the country should pledge to protect and respect nature, adding small amends in daily life would lead to a better environment. "The time has come to reaffirm, reassert and recommit ourselves to make a social movement. Small interventions from our side will certainly pass on a healthy environment to the future generation. We have to ensure that we fulfill our solemn duty to protect and preserve nature, ensure that the forests remain as dense and rich as they were handed over to us and we no longer pollute the rivers," he asserted. Dr. Vardhan further said that the people have to follow the scheme of ' Swachch Bharat' and preserve the nature. "We need to stop the future generation from a large number of diseases that generate from the pollution. Let us pledge to do it and start it today," he added. Earlier in the day, Prime Minister Narendra Modi said it is the right time to reaffirm our commitment to protecting the environment and nurturing a better planet. The state government in Kerala will launch a massive tree planting exercise today on the occasion of world environment day. This is being organised under the ' Haritha Keralam' project an initiative to make the state green.